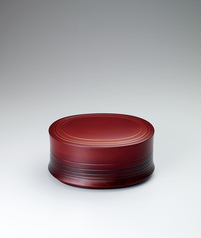 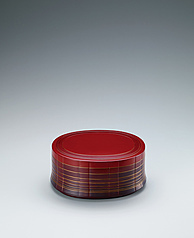 Covered vessel made by bending work with red tamenuri. 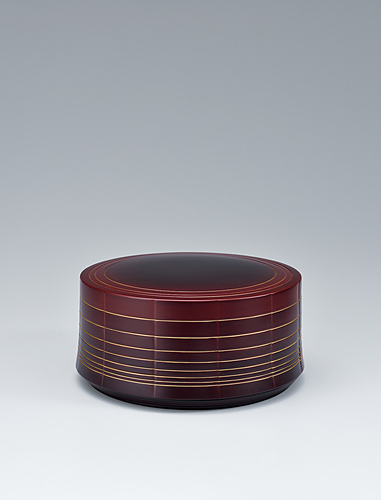 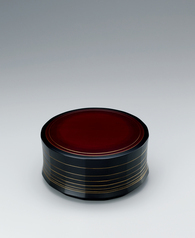 Covered vessel made by bending work with red tamenuri and gold decoration. 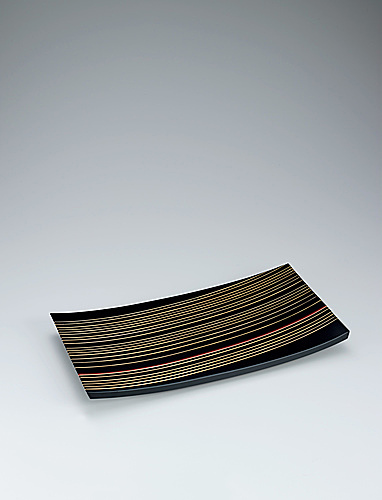 Covered vessel made by bending work with gold decoration.